I vividly recall my first look at the RAT ON! 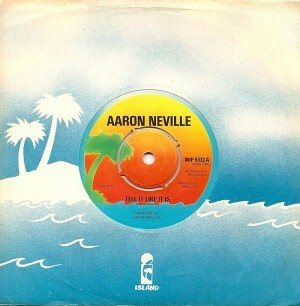 sleeve, his only album for Elektra from which both these single sides come. I thought, this is gonna be terrible. 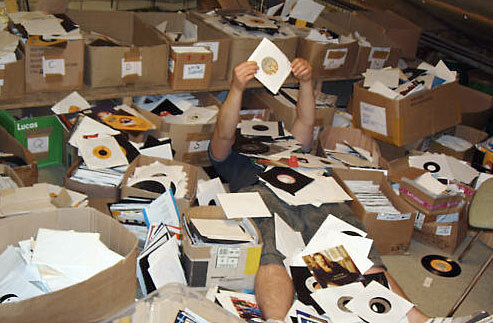 There was nothing more I loved doing than checking every last record that came into our college station. I would sit for hours, well into the night, and instead of studying my class work, I studied records. Cataloging, suggesting cuts for airplay, deciding what to call into the labels for extra copies of, basically to fatten my collection. It was great being both MD and PD of a college station. First listen, it went into a certain space, meaning very musical in a more grown up way, not unlike the occasional jazz or blues album that struck me, or The Crusaders, The Meters, The Blackbyrds and Dr. John. I got slightly more interested when a 7″ showed up shortly thereafter. I loved this guys voice, and his name, terrific. 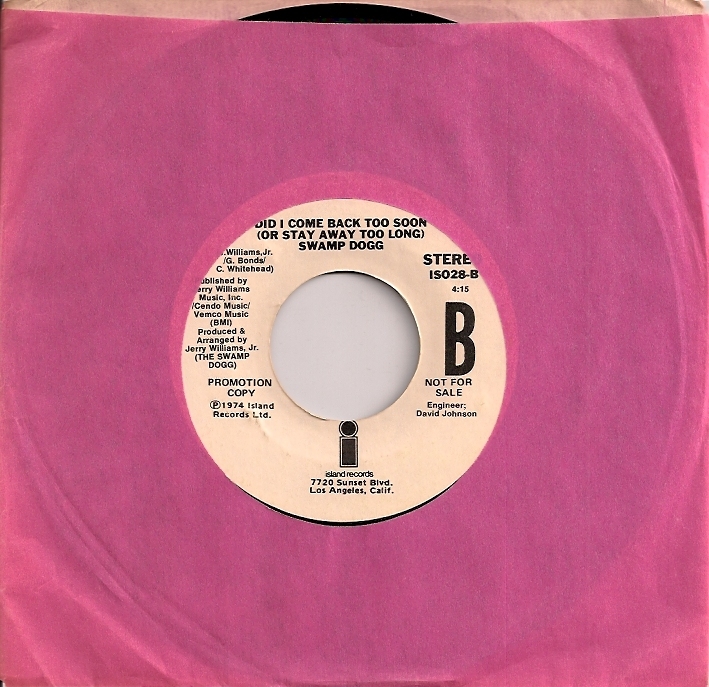 Both sides segued nicely with ‘Wash Mama Wash’, a Dr. John single I liked playing on the occasional late, late shift I’d sit in for once in a while. 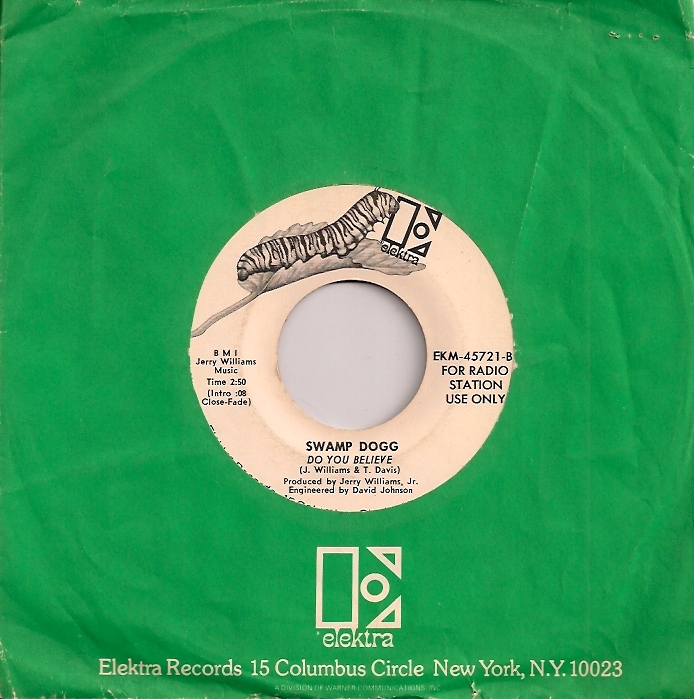 Gotta admit though, despite my liking of Swamp Dogg, I didn’t exactly follow up accruing the next few releases, which I recall being on the Brut label. 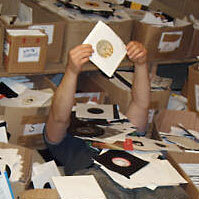 I just wasn’t interested in certain record companies as a kid. Very stuck up, a know it all, basically an early version of a Pitchfork contributor. Well, a word to the wise, wrong attitude, a lesson learned later in life having to backtrack, filling in gaps of the vinyl collection. The Swamp Dogg gap being one in particular. 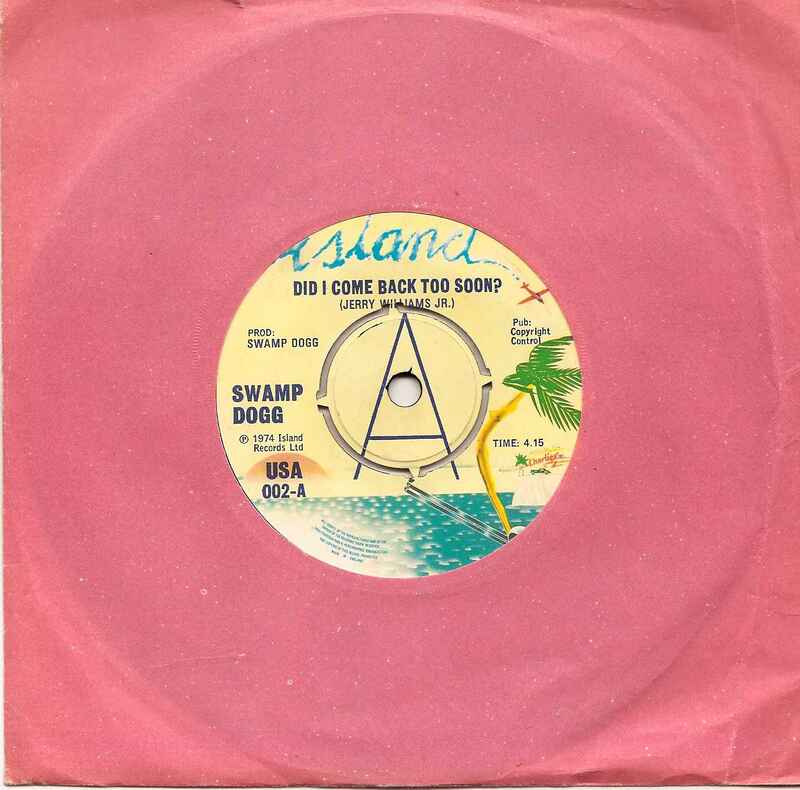 Come ’74, Swamp Dogg is suddenly on Island, with a seriously happening album HAVE YOU HEARD THIS STORY?. I worshipped every last track, could sing any one of them for you on a dime. And the sleeve, in one way, a mess. An out of focus shot of a very unkept Swamp Dogg in a very unkept room, surrounded by records and books, perched atop a bean bag chair. Yet in another way, completely inviting and totally descriptive of the music inside. His talent for some twisted lyrics, actually clever slants on slightly sleazy subjects drew me in further. 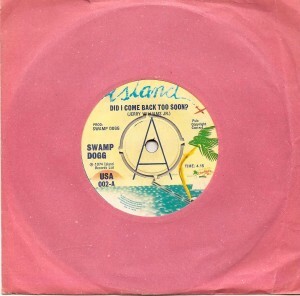 “Did I Come Back Too Soon (Or Stay Away Too Long)’ Have a listen. Can’t be said any better, kind of funny yet very true. Always take care of your partner. And again, that signature voice. A second UK single from the album, and pressed promo only. This was a hard one to track down, plus it’s an edit, making finding a copy even more necessary. The full 7:20 album version gets cut to 5:30, not that much of a radio friendly timing, but seems this was more aimed at clubs, given the disco leaning beat and a vocal that doesn’t begin until 2:22. 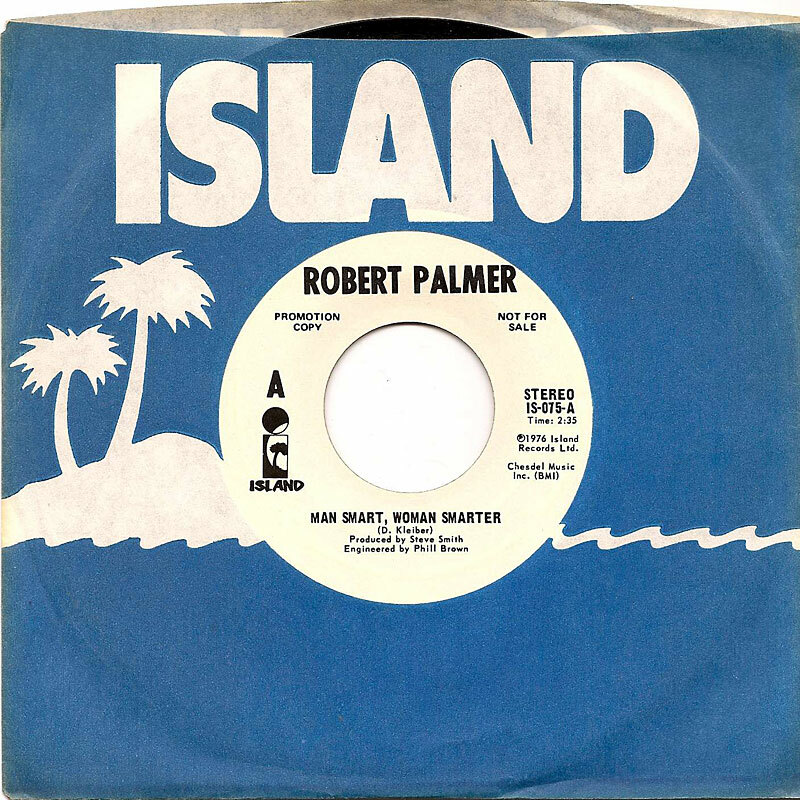 Besides, Island UK only did five singles with this label design and the USA catalog number prefix, all aimed seemingly at clubs. 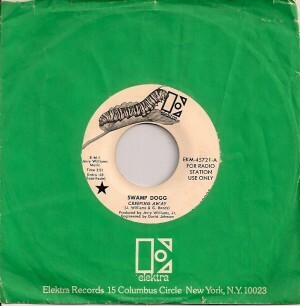 Given the time period, Swamp Dogg wasn’t far from Ike Turner’s musical path, wah-wahs and revue horns still in place. 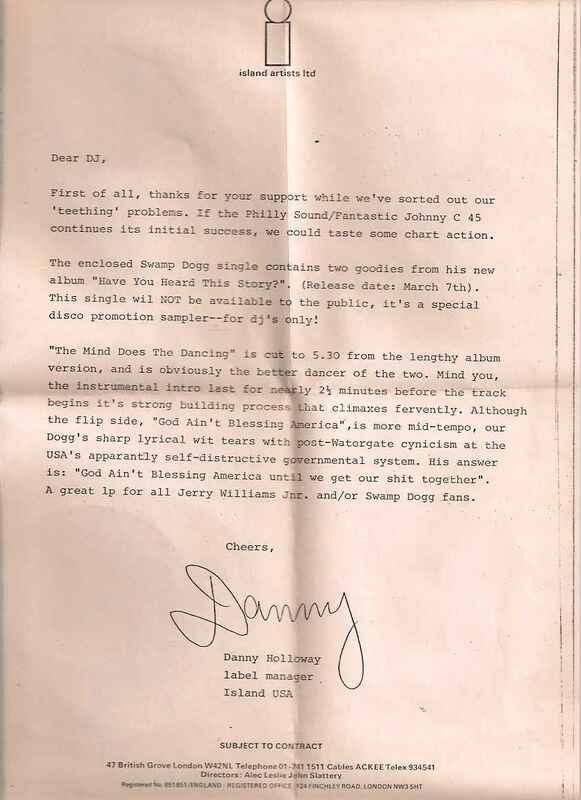 For fun, a press release below that was inside the album’s radio station shipping envelope, which the hoarder in me saved. I had a habit of sticking all these type things inside the sleeves, making for sometimes fascinating reading nowadays. Swamp Dogg indeed has many releases, starting in 1970. Prior, he recorded under his real name, Jerry Williams, beginning with Little Jerry Williams until, I’m assuming, he grew up. A closing trainspotter bit here. 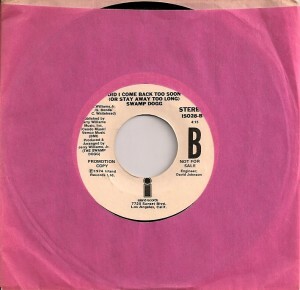 Jerry Williams co-wrote and had studio involvement with, to me, Inez & Charlie Foxx’s greatest ever single and those are big words as they had many: ‘(1-2-3-4-5-6-7) Count The Days’. 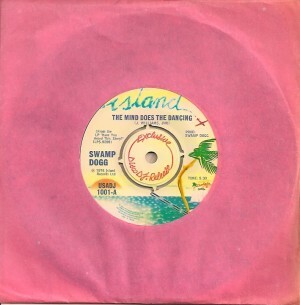 Well in fact, one of the greatest soul singles of all times, posted elsewhere on this blog if you care to have a listen. Turns out the legendary album by The Wild Tchoupitoulas was even more legendary than originally thought. It was a bit of a first in it’s day, critics choice and all that. 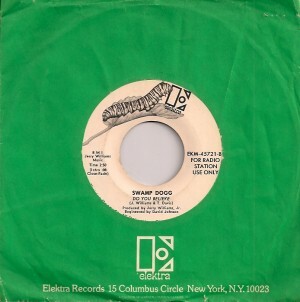 I remember Kathy Kenyon sending an envelope of singles to my college radio station back in ’76. She worked at Island then, left for several years and ended up returning when I started in the 80′s. Small world. 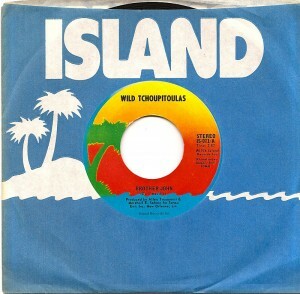 That package included these two Wild Tchoupitoulas 7″s and Robert Palmer’s ‘Man Smart, Woman Smarter’. 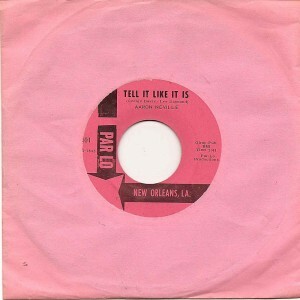 Seems the label was going through a New Orleans fetish. 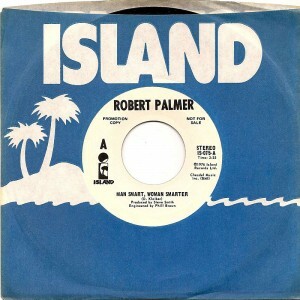 Robert Palmer’s album (as well as Jess Roden’s then current one) were all recorded there with either The Meters, The Neville Brothers and/or Allen Toussaint contributing. When Chris Blackwell goes for something, he goes for it (reggae, world music, go-go). 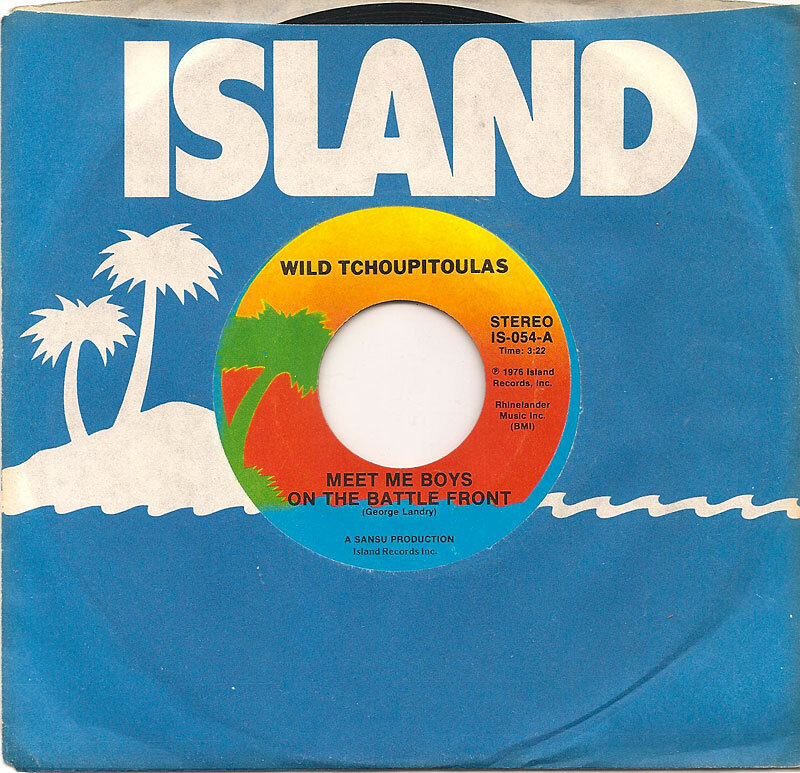 Apparently, The Wild Tchoupitoulas project lead to the formation of The Neville Brothers, who until it’s recording, had never played together. Hard to believe they, not only as brothers but a band, started a long career as a result of that very album. 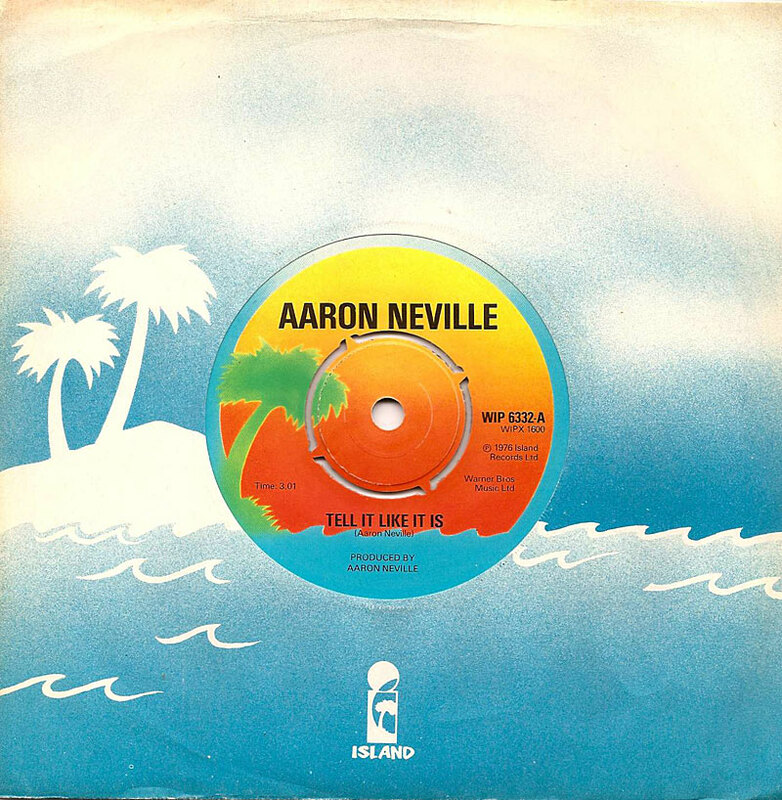 For some reason, they reissued the Aaron Neville single ‘Tell It Like It Is’ (originally on Stateside) in England. That pressing was also included in the package. That re-release reminded me of how much I loved it, not owning the original at the time. All in all, a pretty memorable watermark – thanks Kathy.